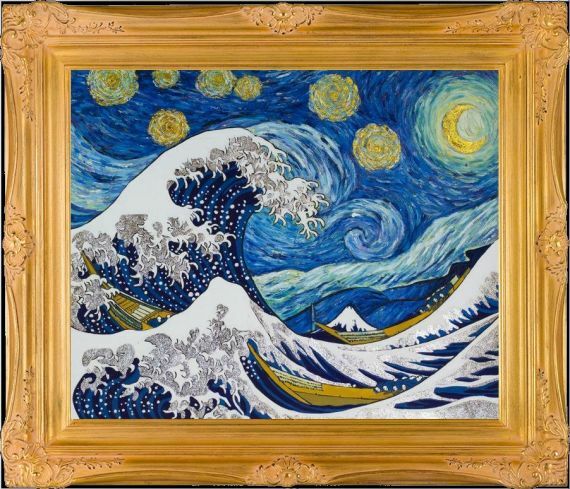 See how two masterpieces can be combined into something beautiful with this "Starry Night Wave Collage (Luxury Line)" painting from La Pastiche Originals. 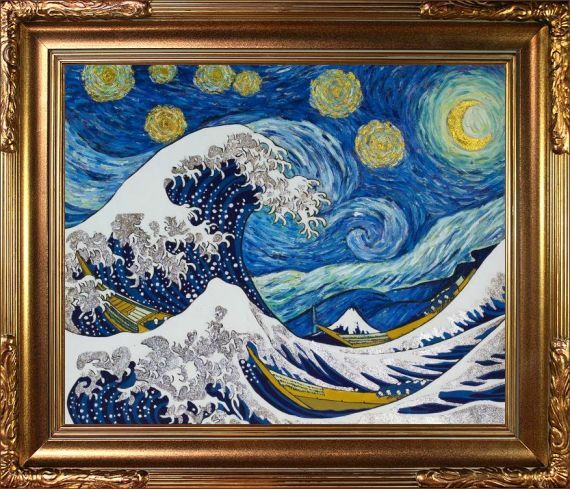 This brand's skilled artists reimagine some of the most iconic works of art in a new light. 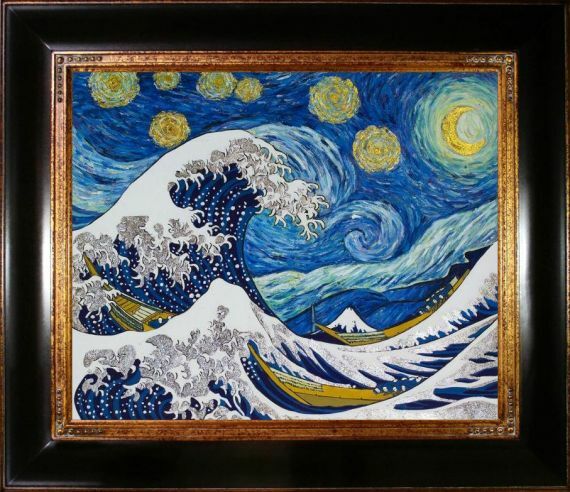 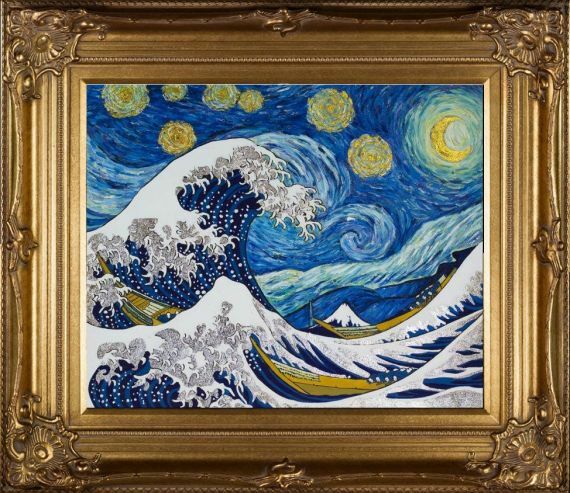 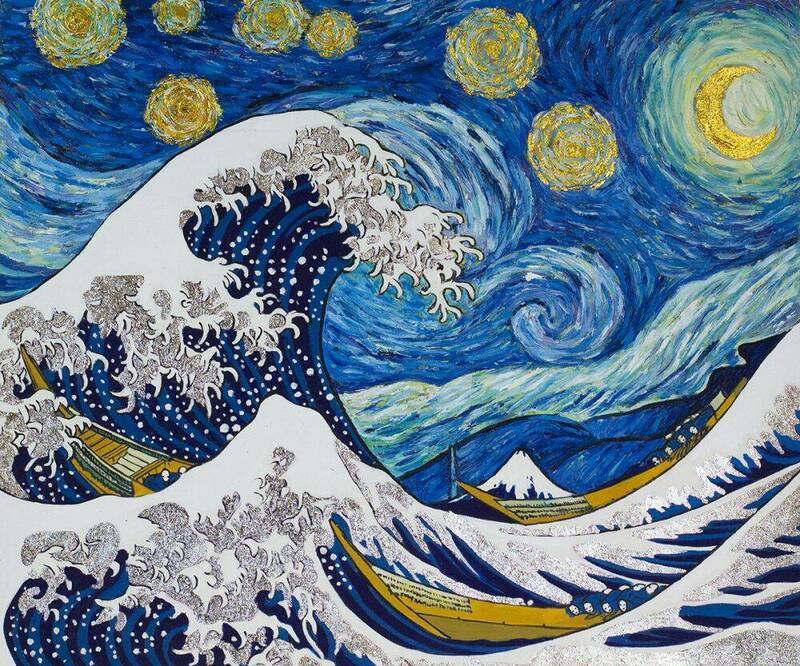 In this painting, "The Great Wave" and "Starry Night" by Hokusai and Van Gogh are combined into a striking work of art unlike anything you've ever seen. 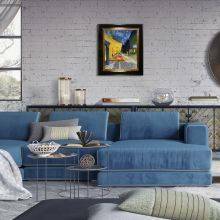 Adding to the arresting composition are luxurious touches of gold and silver which glimmer subtly as you gaze upon this dynamic piece. 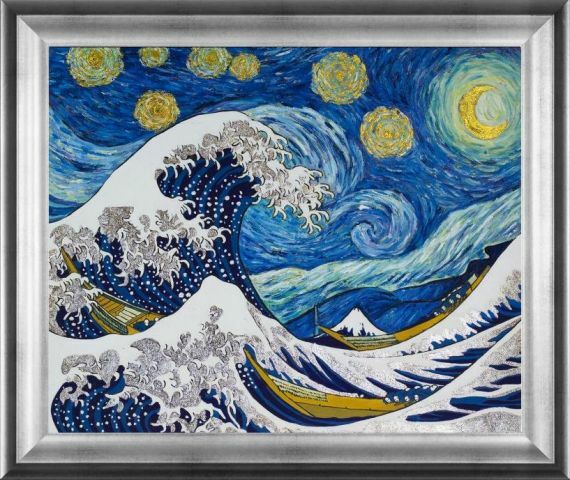 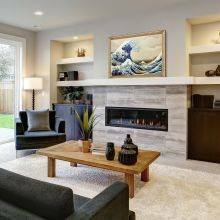 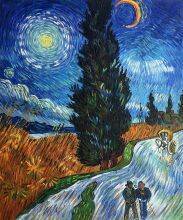 Owning this La Pastiche Originals "Starry Night Wave Collage (Luxury Line)" demonstrates your appreciation for some of the great masterpieces in art history. 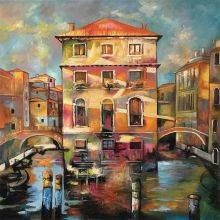 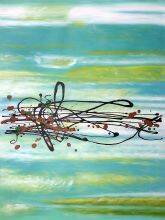 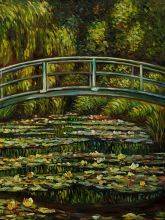 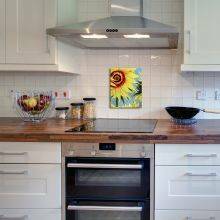 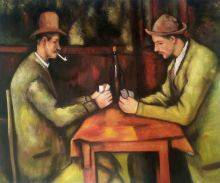 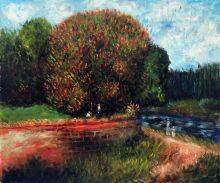 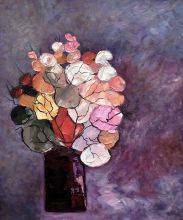 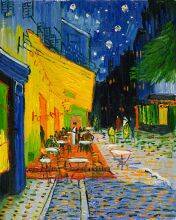 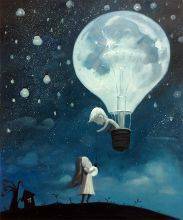 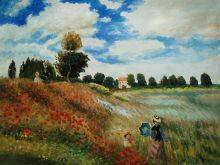 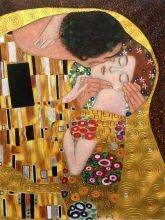 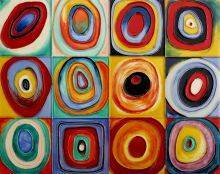 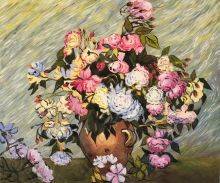 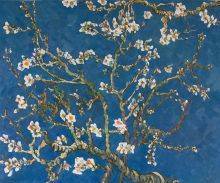 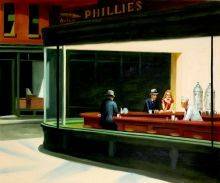 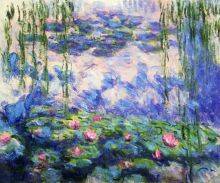 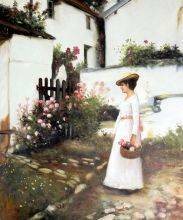 Get this stunning painting for an affordable price when you order from overstockArt. 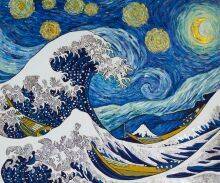 Color Palette for Starry Night Wave Collage (Luxury Line) is empty.